La Breza Tower - Live in class. Feel the Breeze. | Begin to live. Right here. Right now. Valid until July 2010 only…. Wanting to live in a very accessible location yet far from the hustle and bustle or far from the stress of metro living? Wanting to have your own private place which is literally exclusively and privately yours? Don’t be dragged by misleading ads by other condo developments with very low monthly rates but long term concerns. Do you really want to live in a condo with 3 to 5 towers and over a thousand residents and unit owners stuck in a small complex? You pay a lil bit lesser but what about your security? your privacy? the value appreciation of your investment? Think long term. Condo investment is no joke and you should be thinking 5 to 10 or even 50 years from now. 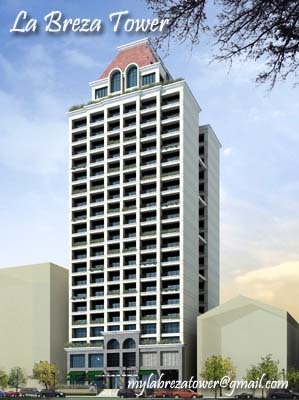 La Breza Tower is planned and developed to be a private and exclusive residential address. 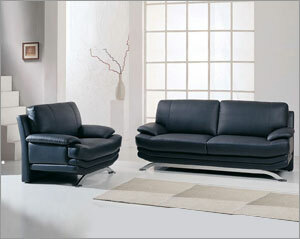 It is secured, it is not crowded, it is highend and classy yet affordable enough with friendly payment options. It is also a hotel thus it will be well maintained and managed. Make this your life’s testament. 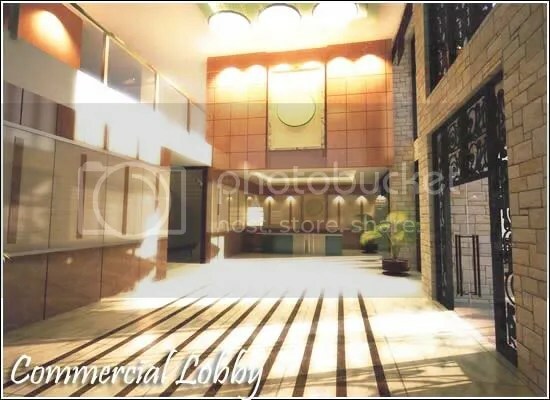 An elegant and private high rise residential tower and hotel that is synonymous to prestige. Convenient and also accessible, La Breza Tower is the condo youdeserve! Enjoy our scale model, see pix below. Construction activities are more on the interior of the building. From the outside, you can now see the newly installed metallic balcony fences for each units and the beginning of the construction of the grand entrance’s facade. Condo living has become the signature of a dynamic city lifestyle. With the city’s exhausting pace and limited space, the search for condominium developments that offer excellent accessibility and living comfort has also become a passion to those who can’t live outside the city. For city dwellers, La Breza Tower may bring the fresh answer because it was built to service the urban lifestyle. First of all, the project stands in the heart of Quezon City, near Mother Ignacia area. It has 176 studio units, 70 one-bedroom units, and four three-bedroom suites in a 22-story building. The project is being developed by Sta. Lucia Realty and Development Inc. and designed by W.V. Coscolluela & Associates, while its architectural interior is produced by Songsong & Periquet Design Group. La Breza Tower offers the luxury of just being 20 minutes away from everything a city dweller needs. Work is never too far, as the address is just next door to some of the country’s top employers. In fact, two major stations can be reached easily from the project: ABS-CBN and GMA Network. Huge BPO companies are also just around the corner for those who work in the call centers. The main offices of some of the country’s government agencies, on the other hand, is just a ride away at the Quezon Memorial Circle area. Those working in other business hubs such as Ortigas and Makati can easily reach the place via train, as the Quezon Avenue Station of MRT is just a stone’s throw away. Food and other produce, meanwhile, are abundant in Nepa Q-mart and Farmer’s Market, just two MRT stations away. St. Luke’s Hospital and Capitol Medical, just a short drive away, can take care of all medical services needs. The project’s vicinity also teems with places to unwind and party after work or during the weekends. The nightlife of Tomas Morato, Timog and Quezon Ave. offer a wide range of entertainment for everyone of all ages. Shopping and malling is a neighborhood away. There’s the Gateway Mall in Araneta Center, Robinsons Galleria and SM Megamall in Ortigas, Greenhills Shopping Center in San Juan; and to the north, SM North Edsa and Ayala Trinoma Mall — all within the 20-minute travel time limit. 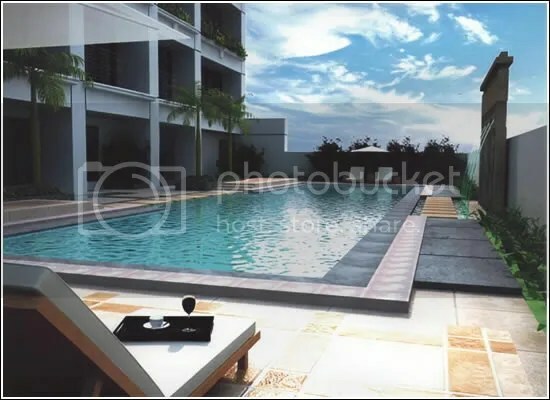 There may be things to do outside but this project is also fitted with up-to-date condominium amenities. For starters, restaurants and boutiques at the ground and second floors of the building offer residents an array of goods and services for their needs and for their convenience. At La Breza, there are units that have their own gardens. 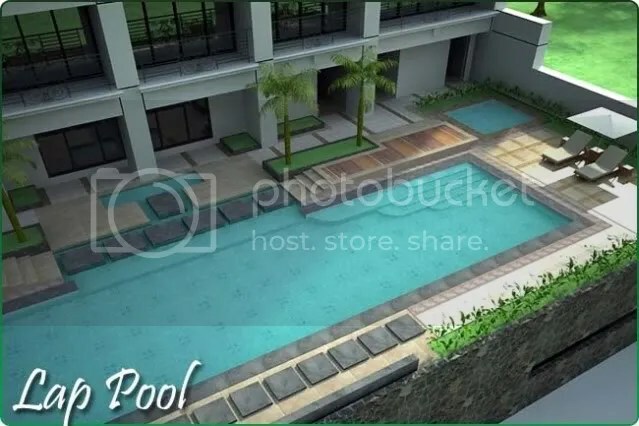 This part of the development’s concept promises to bring the zen balance into the condominium lifestyle. Function rooms and a banquet hall are also available for residents’ social gatherings and business needs. And, to keep the body in excellent condition, there is a gymnasium, Jacuzzi, swimming pool and kiddie pool and other recreational facilities available. Parking is not a problem. The building design made sure there is ample parking space for residents’ vehicles. Moreover, a 24-hour security system will help keep the privacy and safety of the entire premises so that one can live their day worry-free and sleep soundly at night. The building has already topped off this March and is ready for occupancy by June 2011. Whatever your lifestyle is, La Breza is best for you. Simplicity. La Breza’s concept is simple – your own private space within a hotel setting with amenities and shops that can be best enjoyed by only a few. All around Metro Manila, you can find a number of huge condominium projects which are consist of two to three towers and more than a thousand residential condo units. Just imagine living in a crowded address, sharing the amenities with thousands of residents – you’re looking at high rise mass housings in the making that spell – no privacy, no exclusivity, and overcrowding. 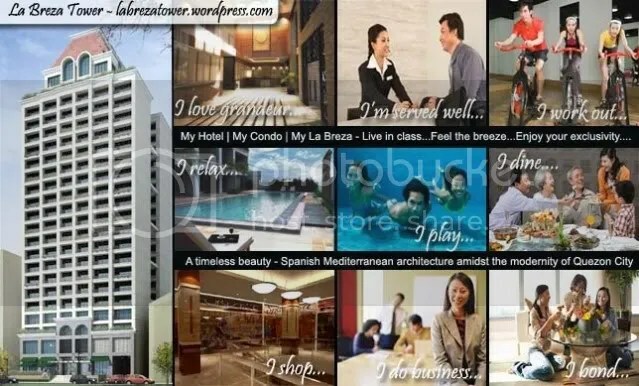 But if you are one of the few who wish to enjoy a quite and bountiful space, who loves private moments, who adores exclusiveness – then La Breza Tower is the residential condominium for you. With around 185 residential condo units only in a 22 level highrise condo, you are assured of privacy and exclusivity. Private yet convenient – La Breza Tower is located at a strategic location. Located just across ABSCBN complex, three minute walk from MRT Quezon Avenue Station and EDSA. Whatever your lifestyle is, La Breza is best for you. Are you always on the go? 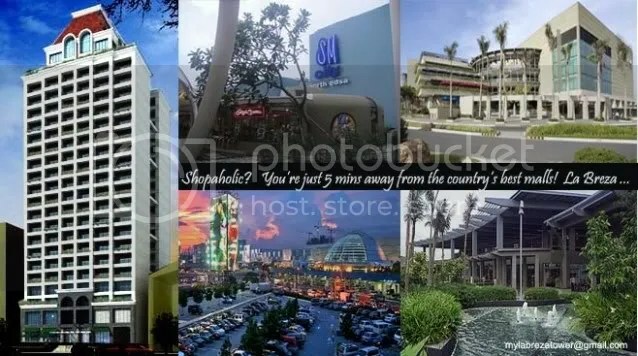 Do you need to be in Makati at this hour, go back to your unit at lunch, and meet a client in Trinoma before three then meet some friends in Araneta Center by five? Or are you a shopaholic? Wanting to visit Greenbelt? Then drop by Robinsons Galleria? And check new arrivals at Gateway Mall and finally chill out with friends in Trinoma or SM North Edsa? Or do you simply want to have an urban life in a suburban setting? Discover La Breza and let us show you why this best suits your lifestyle. Email us at mylabrezatower@gmail.com or send sms to +63-927-772-1039. Marvel into the prestige of metropolitan living only here in La Breza. 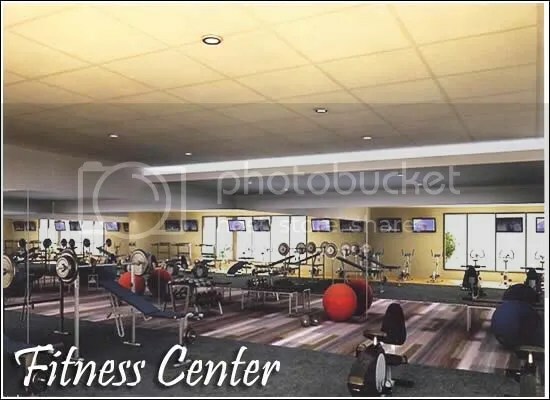 Strategically located along Mother Ignacia Avenue at the dynamic district of Tomas Morato, Quezon City, La Breza Tower was fashioned to become your solace to energize your body, calm your soul and reign over your life. Your life is opening up to a world of possibilities. Your life’s work is surely building a future your mind’s eye sees so clear. La Breza honors your time for pleasure with a high rise that lifts your spirit. My hotel. My condo. My La Breza – A timeless beauty, Spanish Mediterranean architecture amidst the modernity of Quezon City. Whatever your lifestyle is…you’ll love La Breza! For over three decades, Sta. Lucia Realty has proven its expertise and credibility as developer in the real estate business. And Michelle Robles is not only a daughter to the company’s president, Exequiel Robles, but to the company itself as she practically grew up with it.Today, she is working as Sta. Lucia’s land corporate marketing director, and she definitely knows the company’s soul by heart. And she introduces us the first condominium building of Sta. Lucia in Metro Manila, the La Breza Tower in Quezon City. Michelle definitely sees La Breza as an ideal place to live. 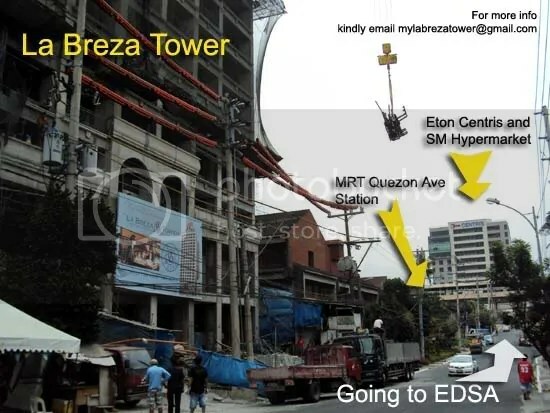 “La Breza Tower is our first in Metro Manila. And I would definitely want to live here, because when you go out, everything is in an easy reach,” Michelle said. La Breza Tower is located in the entertainment hub of Quezon City, making it a prime spot of city life. It is practically a neighbor to the gigantic television network ABS-CBN. Thus, famous young actor and La Breza’s official endorser, John Lloyd Cruz considered buying a unit from La Breza Tower, and even thinks of inviting his friends in the show business to buy their own units at La Breza because of its convenient location. La Breza is also near top schools such as the University of the Philippines and the Ateneo de Manila University, making it an ideal halfway home for those students who live in the province but are studying in the best schools in the country. “Basically, it’s an ideal place to live for people from outside Manila who wants a place near their work or school,” Michelle said. Your La Breza living room is the most lived in space in your condo. Creating a comfortable living environment is the ultimate priority in living room design, and there are many important aspects of living room design. Local stores offer hundreds of different furniture and accent piece styles. To help you decide what design style best fits your personal needs read below for more information about any of today’s most popular iving room styles. We’ve identified several major design trends in our living room furniture and accessory pieces:Casual, Contemporary/Modern, Country, Rustic, Traditional and Transitional styles are some of our current favorites. Some condominiums claim to be exclusive but do they really offer the real meaning of exclusivity? Other good condominiums in the area are home to around 300 to close to 1,000 condominium units in just one project, that oftentimes translate to more than 500 to close to 1000 families in one condominium project. With La Breza we are home to only 185 residential condominium units in a 22 storey tower, La Breza definitely defines exclusivity at its best. Some condominiums offer convenience and accessibility. We offer these without sacrificing bliss and tranquility. While other good condominiums boast its location right along EDSA; have you ever thought of the noise and traffic that you have to embrace every day? La Breza offers accessibility without sacrificing bliss and tranquility. Situated in a suburb neighborhood, we are located two minute-walk away from EDSA, near to Metro Manila’s most important commuting artery but far from its noise and traffic. Some condominiums are on top or attached to malls, do you really want to convert your private residence into a public venue? We offer convenience with your privacy in mind. 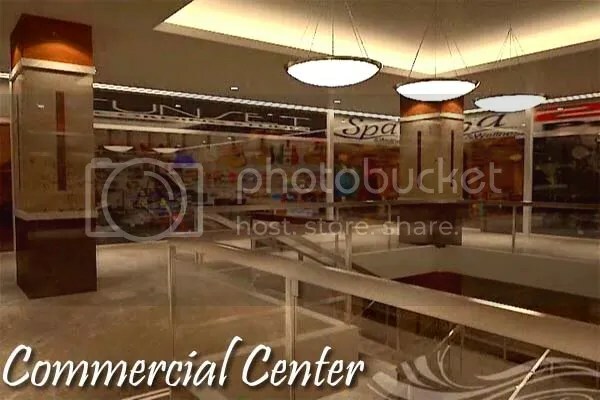 La Breza brings a piece of shopping and dining convenience through its commercial center located within the building and can only be accessed by its residents and guests. We respect your privacy, thus La Breza is privately yours. Enjoy the urban lifestyle in a suburb environment. Not so far from EDSA yet not so near. One of the newest project in the area of Mother Ignacia St and that part of QC yet the earliest to be delivered in June 2011. Our 36 sqm studio unit is convertible to 1 bedroom and for 2.4 M only with a monthly that starts as low as 10K a month. La Breza Tower is the newest and most exciting condominium project of Sta Lucia Land in Quezon City. December 2009 Promo – monthly starts at Php. 10,000 pesos per month for a Php2.8M unit. Combined Studio and 1 bedroom or a total of 3 bedrooms – 104.40 square meters or 1,127.65 square feet. Why is it called La Breza? From the spanish word which means breeze, La Breza has an architectural design that allows free flow of breeze and invigorating natural light. Why invest in La Breza? – Location. La Breza Tower is located just few meters away from MRT Quezon Avenue Station making it very accessible. However, it is not located along EDSA that is why it is far from the noise, the hustle and bustle of EDSA’s traffic. La Breza Tower is just within the neighborhood of nice restaurants and bistros. It is few meters away from the country’s giant TV Networks such as ABS CBN and GMA Network. It is also located few minutes away from the upcoming Central Business District of Quezon City. Everywhere is an easy reach. – Concept. La Breza Tower is a hotel. Therefore there you have the assurance of well and properly maintained amenities and building structure. You have 24 hour multi security facilities, convenience of wide range and functional amenities, a greater appreciation of property value because of its location, the brand, and concept. To the La Breza Tower residents, imagine going home to a hotel, living inside one, and enjoying the superb hotel features. It has a commercial center that will cater the needs of its condominium residents and hotel guests. And to the investors, La Breza Tower is a good business opportunity and investment. It is a condotel. 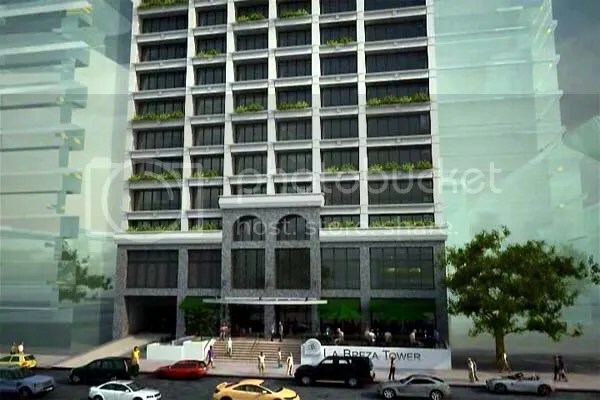 La Breza Tower will cater to the high end market – Quezon City has an increasing occupancy rate as announced by Department of Tourism yet no enough hotels. Thus, there is a need for new hotels in the city especially in the Mother Ignacia all the way to Timog and Tomas Morato areas. All La Breza Tower condotel unit investors will receive the same income per square meter per month regardless of actual unit occupancy. La Breza Tower will be professionally managed by Sotogrande Management Corporation – a company that successfully manages hotels and resorts in Cebu and Tagaytay. – Design– La Breza Tower has a timeless and classy Spanish Medeterranean design by WV Cosculluela and Assoc – one of the top 10 best Architectural firms in the Philippines as awarded by BCI Asia. 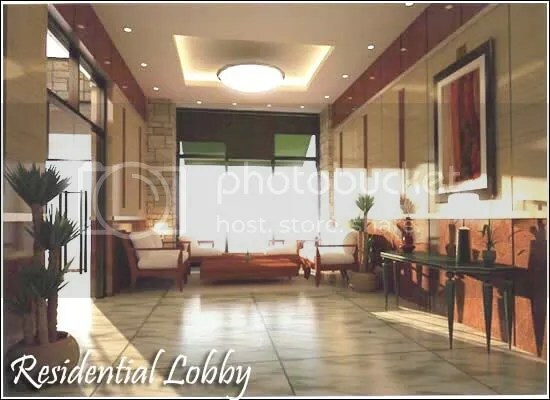 It has an elegant interior interior designed by Songsong and Periquet – a multi awarded design firm which will give an ambiance of a homey and classy lifestyle works for the entire project, from the grand hotel lobby, the residential hall to the commercial area and the hotel units for the condotel participants. – Structure. La Breza Tower is Earthquake resistant. 5000 PSI and earthquake resistant based on Philippine Earthquake Zone 4. Depth of excavation is 12 meters down from street level. 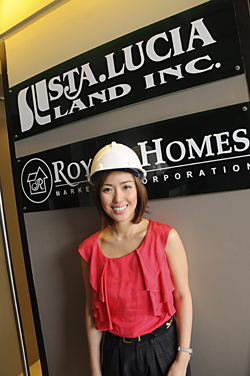 Sta Lucia Land’s dedicated to deliver the best condominium in terms of structure and engineering. – Payment Scheme. Friendly and Flexible Payment schemes are being offered and requests can be made and upon approval by the developer. 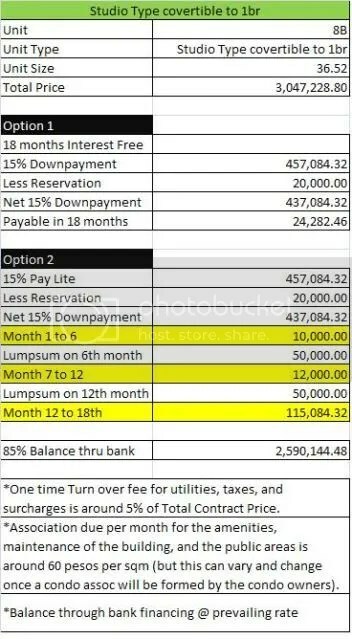 No Downpayment and very low reservation fee. Can be availed through Pag-ibig and other bank financing options with BPI, Unionbank, and others. – Turn Over Date – La Breza Tower is the newest condominium project in the area yet the fastest in terms of construction. Target of delivery is 18 months from December 2009. – Amenities. La Breza Tower is filled with amenities that you can surely use and are functional. – Developer – Sta Lucia is known because of its residential estates, golf courses, and resorts. A trusted and awarded brand and this time around, Sta Lucia is embarking on its first high rise project in Metro Manila. Sta Lucia is committed to deliver their first condo project at its best quality. 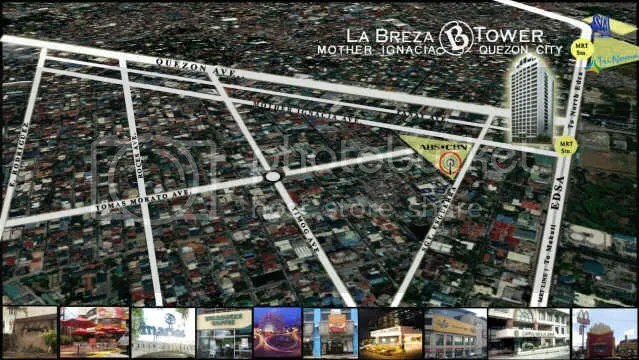 Is La Breza the condominium you are looking for? Visit our project for free. Coordinate with a professional Sta Lucia Land manager. Its like coming full circle. After building the country’s most exclusive golf courses, subdivisions, a grand mall commercial centers, as well as community and residential developments, Sta Lucia Realty has ventures into building high-rises. 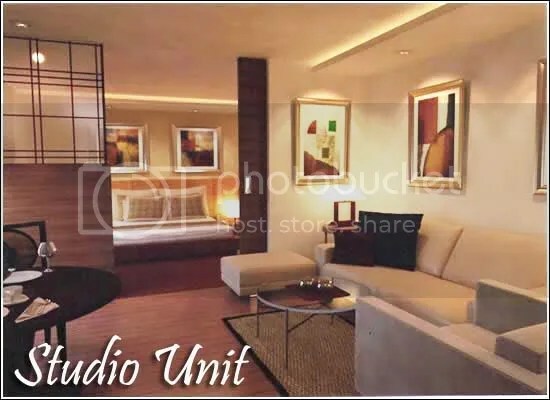 The group, one of the country’s leading property developer, is now completing the very first “condo-tel-and-condominium-in-one” in Metro Manila through its publicity lested company, Sta Lucia Land. 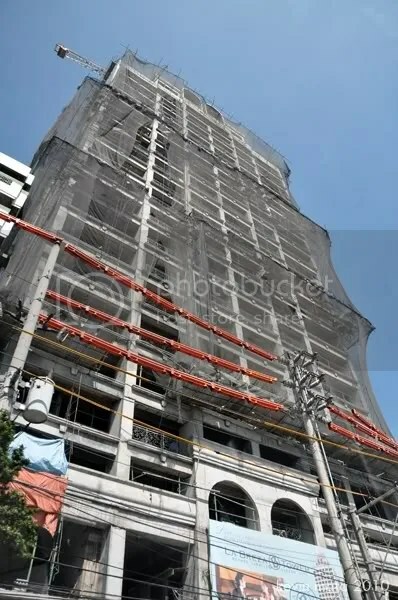 La Breza Tower is the 22-storey building along busy Mother Ignacia St. in Quezon City, Which prides itself in marrying the convenience of owning a condominium in the metro with the prestige and comforts of staying in a posh hotel. “Building la Breza completes the Sta. Lucia portfolio of land developments. It’s a natural evolution for the company to venture into new projects as it matures into a stronger company,” said Exeqiel Robles, president of Sta. Lucia land, Inc. 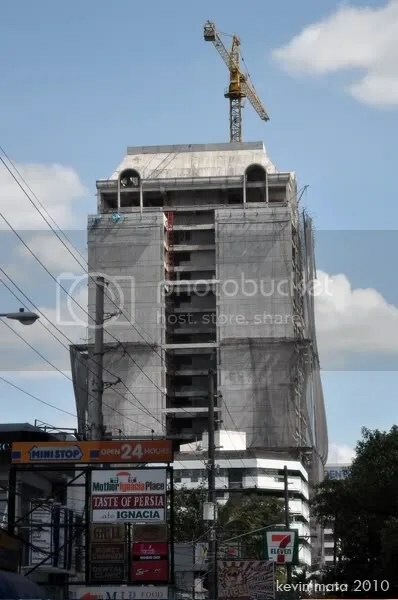 According to Robles, the first five floors of La Breza will be designed as condotels ( a “condominium” and “hotel” in one) for a total of 64 units out of 250 that make up the whole La Breza. 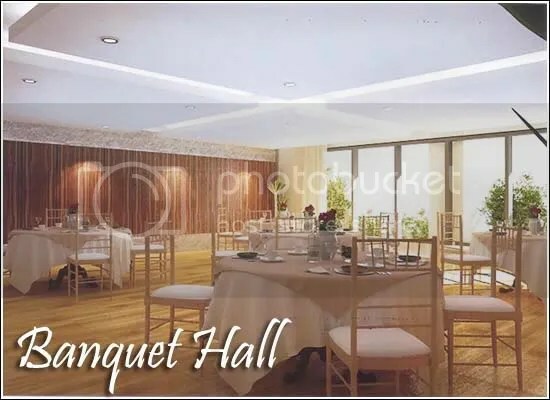 The condotell rooms will be professionally managed by the Soto Grande Management Group, the same group that manages the Soto Grande Hotel, Sta Lucia’s hotel in Cebu. The condotel concept, said Robles, is aimed at investors who want to make advantage on the 30-day-a-year time sharing benefit while earning from room rentals. Just like a regular hotel, the 64 condotel units will be rented out year round and investors can expect to earn rentals on a quarterly basis. The rst of the Building, from th 8th to the 22nd floor, will contain condominium units for individuals and families who want to own a place they can call their home. The concept (of a condotel) bodes well for La Breza as it positions it self as both a business condotel’ ideal for meetings, conferences, seminars and wedding and debut receptions, among many others functions, and as an exclusive condominium at the same time” said Matilde Robles, president of the Royal Homes Marketing Company (RHMC) the marketing arm of this Sta. lucia property. MANILA, Philippines – La Breza Tower, Sta. 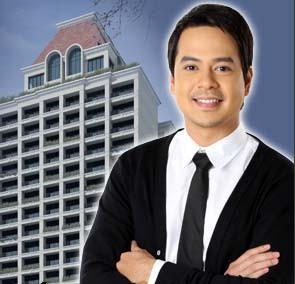 Lucia Land, Inc’s first condotel project in Metro Manila, welcomes its hot celebrity resident, John Lloyd Cruz. The Philippines’ Box Office King is all smiles about La Breza, which boasts of a wealth of features that he found irresistible. For beginners, La Breza is strategically located at Mother Ignacia St., which is a mere walking distance from ABS-CBN, where he stars in many of the network’s shows. It’s also close to the Ayala TriNoMa Mall and SM City North EDSA, as well as the leisure strips of Tomas Morato and Timog Avenue, making shopping and recreation for the busy and much sought after matinee idol easily within reach. La Breza’s amenities, including a swimming pool and a fitness gym, complement John Lloyd’s healthy and active lifestyle. The units’ design and interiors by acclaimed design firm Songsong & Periquet are sleek and modern, which fits the young actor’s personal style. The building’s architecture design by WV Coscolluela also matches John Lloyd’s preference for clean, smooth lines. For John Lloyd, La Breza is not just a home—it is a wise investment. He can actually get his condotel units leased out on a timeshare basis, which can give him a source of revenue. As an additional stream of income, it’s truly a worthwhile asset. Choosing La Breza has been an easy decision for John Lloyd, as he has been a believer in Sta. Lucia for many years running. In fact, John Lloyd actor was brought up in a Sta. Lucia community, where he first learned about traditional, family-oriented values. While he was strolling inside the Sta. Lucia Mall, he was spotted by a talent scout, who convinced him to enter showbiz, and the rest, as they say, is history. From portraying different roles in movies and TV shows, the Sta. Lucia resident has since evolved into a highly accomplished actor, bagging lead roles in widely followed teleseryes and smash blockbusters. Now based in Quezon City, John Lloyd feels that life is really a breeze at La Breza. It’s the ideal place for him to relax and unwind after a hard day’s work. A sanctuary of comfort and serenity, the tower has 24-hour security and ample parking spaces. It also includes elegant function rooms where meetings and special events can be held. La Breza is another landmark development from Sta. Lucia, which has become synonymous with building high-quality homes and developing well-planned communities all over the Philippines. MANILA, Philippines – The word “luxury” seems to turn into a pariah during a financial crunch. But what if your comfortable, classy and private abode also give you the chance to make some money on the side? Sta. Lucia Land Inc. brings into fruition its first condominium project in Metro Manila. The La Breza Tower (The Breeze) right along Mother Ignacia St. Quezon City is a luxurious development just off EDSA, the main circumferential artery connecting the north and south ends of Metro Manila. La Breza is a classy, quiet and luxurious aerie that is cooled by delicate breezes that easily flow through the gently rolling terrain and wide open spaces of suburban Quezon City. At the same time, La Breza (which is conveniently at walking distance from both Edsa and Quezon Avenue) is at the hub of powerful media conglomerates ABS-CBN and GMA-7, allowing it to bask in the glimmer of the worlds of television and cinema, with the enticing sparkle of celebrity. Furthermore, La Breza is close to the Ayala Trinoma Mall, and the Quezon Avenue MRT station; as well as being just a stone’s throw away from the strip along Tomas Morato Avenue, with its fine dining restaurants, night spots and quiet little watering holes. Several hospitals, including the Heart and Lung Centers of the Philippines, are a short drive away. Being close to the hub of media glamour and bustling commercial activity, it makes sense that La Breza combines commercial space (ground and second floors), condotel functions (third to seventh floors) and residential units at the 8th to the 22nd floors. At the ground and second floors are restaurants, specialty shops and the hotel lobby. WITH the latest report of the Bangko Sentral ng Pilipinas showing cumulative remittances from overseas Filipino workers (OFWs) having reached $12 billion from January to September, interest among OFWs for more secure investments in real estate is growing. 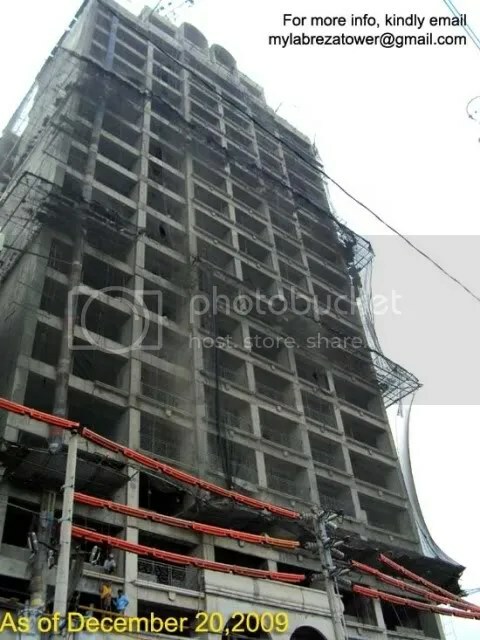 This trend may be observed in, for instance, the La Breza Tower, the first condotel in Quezon City. “We have attracted a significant number of expatriate Filipino workers to invest in La Breza Tower,” says Ma. Carmina Sotto, executive vice president for sales, marketing and training of Royale Homes Marketing Corp., the exclusive marketing arm of the project. “There has been a move in the way OFW remittances are spent, shifting from consumer goods to property investments—and they recognize La Breza Tower as an excellent investment for many reasons,” Sotto adds. As a condotel, La Breza Tower units can be leased out on a timeshare basis, giving owners a steady source of income. This means that OFWs’ investment will never be idle, since their unit will be earning them money in case they opt not to occupy it and still stay abroad for the time being. OFWs can expect a higher yield with their La Breza Tower unit compared with regular savings or time-deposit accounts in banks, with an annual return of investment of up to 8 percent. Furthermore, the value of the La Breza Tower unit itself will rapidly appreciate because of its prime and strategic setting. 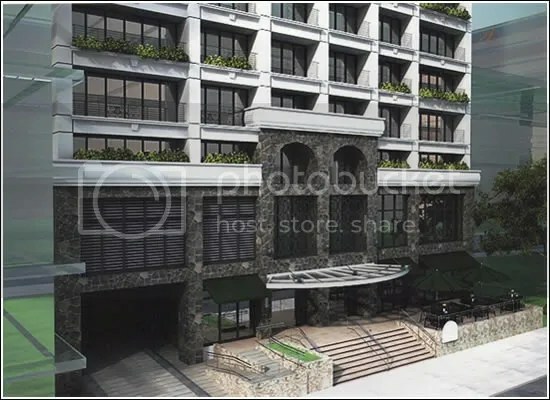 Located on Mother Ignacia Street in Quezon City, the 22-story development is close to commercial establishments, such as the TriNoma Mall and SM City North Edsa, as well as the much-frequented restaurants and café’s of Tomas Morato and Timog Avenue. La Breza Tower’s topnotch amenities also contribute to its strength as an exceptional investment. A swimming pool, a gym and a business center are available for condotel unit owners to enjoy. La Breza Tower is developed by Sta. Lucia Land Inc. (SLLI). With more than three decades of solid experience in real estate and 200 developed projects, SLLI has built an impressive roster of residential estates, commercial developments, golf and country clubs, resort and beach clubs, condominiums and other projects. Among the recognition it has received for its record are the Developer of the Year, conferred by the Chamber of Real Estate and Builders Associations and the Most Trusted Property Developer from Reader’s Digest Asia. 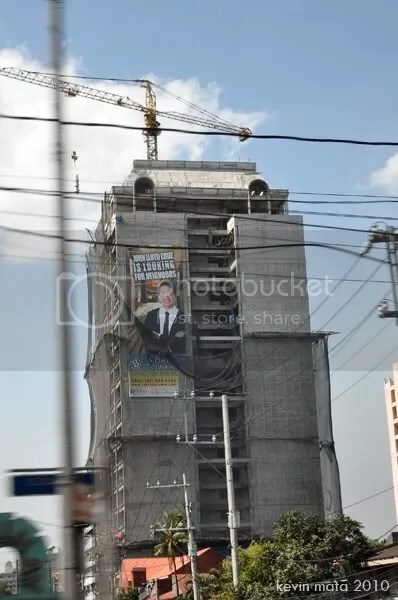 “With its wealth of features that make it a first-rate investment, it’s not a surprise that high-earning Filipinos abroad such as nurses, engineers and information technology-professionals have invested in La Breza Tower,” said Sotto. “We expect more units to be sold before the year ends, as OFW remittances will be peaking starting this period until the Christmas season. For more info, you may send an email to mylabrezatower@gmail.com or text/call +63-927-377-0660. Living abroad and need to talk with us about the project? Feel free to leave your numbers and we are more than happy to call you.